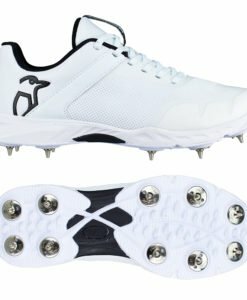 Whether you are looking for spikes or rubbers, Kookaburra Cricket Footwear will be a perfect option for anyone who emphasizes quality and functionality. Endorsed by the likes of Jos Buttler and Ian Bell, their shoes are excellent both in terms of form and function. From weight to durability, they have a wide range of performance footwear that will definitely leave a positive impression, even amongst the most discerning users. Kookaburra is a company that believes in timeliness. They make sure that their products are relevant, believing that it is key to surviving and dominating the competitive landscape. With this, the company makes sure that they are the first to adapt new technologies and that they are always a step ahead of their competitors. 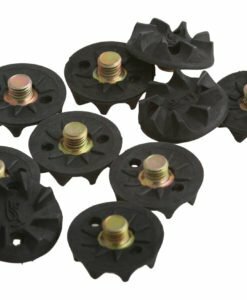 From the products that are currently available from the company, one that is positively-received is Pro 770 Spike / Rubber Shoe. Among other things, one of its best features is the Dual Option, which will provide you with the opportunity to customize the outsole depending on a variety of external conditions. You have the option to wear spikes, which is especially important when playing outdoors in natural surfaces. 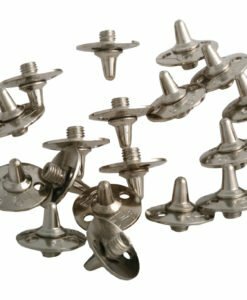 There are eight rubber cleats that are also included. The Pro 780 Cricket Rubber Shoe is another option that should be included in your list of choices. 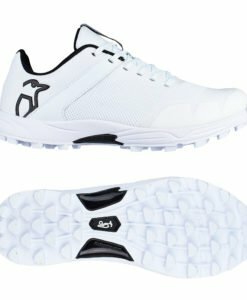 It is an ultra-lightweight shoe that takes advantage of the latest materials used in the industry to keep the weight at minimum. In turn, this can be instrumental for the significant improvement in your agility. To add, it also has Clima Fresh technology, which provides the shoe with a one-of-a-kind lining in its interior. With the latter, airflow will be significantly improved and this will positively affect your comfort. There are vents that are intelligently placed for better management of moisture. When it comes to Kookaburra Cricket Footwear, another option you might want to consider is the Pro 750. Its style will remind you of a classic running shoe, which is also why it is perfect for players who have the need for speed. Polyurethane and mesh are incorporated in the upper to deliver superior breathability and comfort. The midsole, on the other hand, comes with excellent shock absorption. It also has thermos-plastic heel counter, which is essential for improving support. With cricket shoes from Kookaburra, you will feel comfortable as you play. Whether it is a casual game or a professional match, their footwear can take you far!